Draft: 2011, New York Yankees, 6th rd. Andrew Jacob Cave...Twitter: @JakeCave8...Instagram: @jakecave8...graduated in 2011 from Kecoughtan (Va.) High School...as a senior, hit .627 with 16 extra-base hits and a .725 OBP...also pitched, going 6-3 with a 1.65 ERA and 101 strikeouts in 55.0 IP...named Co-Eastern Region "Player of the Year" in Virginia...was ranked by Perfect Game as the No. 25 player in the high school class of 2011...had committed to LSU prior to signing with the Yankees...participated in 2018-19 Twins Winter Caravan. Designated for assignment by New York-AL on March 12...traded to Minnesota for right-handed pitcher Luis Gil on March 16...optioned to Triple-A Rochester...Made major league debut on May 19 vs. Milwaukee, going 1-for-3 with two runs scored...first major league hit was a home run in the fourth inning off of Freddy Peralta...one of 12 players in club history to hit first career homer in first game as a Twin and one of 11 in first career game overall (Eric Fryer homered in first game as Twin in 2013 but spent time previously with Pittsburgh)...first since Eddie Rosario in 2015...Had three stints with Rochester, March 23-May 19, May 24-June 9, and June 14-June 25...in 59 games hit .269 (58-for-216) with 26 runs scored, nine doubles, one triple, six home runs, 26 walks, 55 strikeouts, 28 RBI and four stolen bases...Had season-high eight-game hitting streak July 5-13, hitting .520 (13-for-25) during that span...Recorded first career grand slam on August 25 vs. Kansas City in the second inning off Danny Duffy...Walked three times in a game on August 26 vs. Oakland, first multi-walk game of his career...Hit a home run in all three games in Texas series August 31-September 2 at Globe Life Park...Hit .287 (62-for-216) with 10 home runs vs. right-handed pitching and .194 (13-for-67) with three home runs vs. left-handed pitching...Hit .313 (42-for-134) in 43 home games and .221 (33-for-149) in 48 road games...Led team in games played in centerfield with 70 (65 starts)...Ranked tied for first among AL rookies Post-All-Star Break in games (65), fifth in homers (10) and RBI (33), and eighth in hits (51)...Given Bill Boni Award for Twins Most Outstanding Rookie, voted upon by the Twin Cities Chapter of the BBWAA. Hit a combined .305/.351/.542 (124-for-406) with 66R, 26 doubles, 5 triples, 20HR and 56RBI in 103 games between Double-A Trenton and Triple-A Scranton/Wilkes-Barre…tied for the Yankees' organizational lead and set a new career high with 20HR (previously 8HR in 2016)…also ranked third in BA…hit .343 (98-for-286) with 17HR vs. right-handed pitching…did not commit an error... Was transferred to Scranton/WB on 6/16 and hit .324/.367/.554 (90-for-278) with 47R, 13 doubles, 3 triples, 15HR and 38RBI in 72 games with the RailRiders... Registered his ﬁrst career 2HR game and set a career high with 5RBI in 7/8 win vs. Lehigh Valley, going 3-for-3 with 2R, 1 double, 1BB and 1SB... Earned International League "Player of the Month" honors for July after hitting .390 (41-for-105) with 25R, 7HR and 21RBI in 26 games... Was named International League "Player of the Week" for 7/17-23, when he hit .577 (15-for-26) with 6R, 2 doubles, 2HR and 8RBI in seven games... Compiled a 19-game hitting streak from 7/15-8/4, hitting .440 (33-for-75) with 3 doubles, 1 triple, 6HR and 15RBI…was the second-longest hitting streak in the International League in 2017…his 31-game on-base streak from 6/30-8/14 was the league's longest such streak in 2017... Following the season, was named an Organization All-Star by MiLB.com... Was added to the Yankees' 40-man roster on 11/6/17. Split the season between Double-A Trenton and Triple-A Scranton/Wilkes-Barre, combining to hit .268/.330/.427 (114-for-426) with 59R, 26 doubles, 9 triples, 8HR and 55RBI in 116 games... Began the season by batting .288/.353/.510 (30-for-104) with 12R, 8 doubles, 3 triples, 3HR and 17RBI in 27 games with Trenton…was promoted to Scranton/WB on 5/11 and hit .261 (84-for-322) with 47R, 18 doubles, 6 triples, 5HR and 38RBI in 89 games…appeared in eight postseason games with Scranton/WB and hit .370 (10-for-27) with 4R, 2 doubles, 1HR, 4RBI and 5BB... Was re-acquired by the Yankees from Cincinnati as a Rule 5 draft return on 4/5/16…in 26 Major League spring training games with the Reds, hit .255/.349/.364 (14-for-55) with 6R, 1 double, 1 triple, 1HR, 5RBI and 8BB. In 132 apps for the Yankees' Class AA Trenton and Class AAA Scranton/Wilkes-Barre affiliates combined to hit .278 with 25 doubles, 6 triples and 17 stolen bases...while with Trenton was a mid-season Eastern League All-Star and led that club in hits, runs, doubles, triples and walks...attended his first Major League spring training camp. In 132 apps at Class A Tampa and Class AA Trenton combined to hit .294 with 28 doubles, 9 triples, 7 homers, 42rbi and 12 stolen bases...among all minor league batters ranked T8th in hits...on 7/16 was promoted to Trenton...was a mid- and post-season Florida State League All-Star...ranked fourth in the FSL in hitting... recorded a pair of 10-game hitting streaks (5/13-23, 7/24-8/2)...from 4/5-4/23 reached base safely in 17 straight games (.319). While at Class A Charleston led the club and ranked third in the South Atlantic League in doubles...tied for the team lead in steals...among all Yankees minor league batters ranked ninth in hitting...ended the season with a 13-game hitting streak (.298). Missed the season following right knee surgery. March 24, 2019 OF Jake Cave assigned to Rochester Red Wings. June 26, 2018 Minnesota Twins recalled CF Jake Cave from Rochester Red Wings. 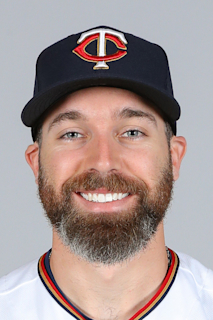 June 14, 2018 Minnesota Twins optioned RF Jake Cave to Rochester Red Wings. June 9, 2018 Minnesota Twins recalled Jake Cave from Rochester Red Wings. May 24, 2018 Minnesota Twins optioned RF Jake Cave to Rochester Red Wings. May 19, 2018 Minnesota Twins recalled Jake Cave from Rochester Red Wings. March 22, 2018 Minnesota Twins optioned RF Jake Cave to Rochester Red Wings. March 16, 2018 Minnesota Twins traded RHP Luis Gil to New York Yankees for CF Jake Cave. March 12, 2018 New York Yankees designated CF Jake Cave for assignment. November 6, 2017 New York Yankees selected the contract of CF Jake Cave from Scranton/Wilkes-Barre RailRiders. June 16, 2017 CF Jake Cave assigned to Scranton/Wilkes-Barre RailRiders from Trenton Thunder. June 13, 2017 Trenton Thunder placed LF Jake Cave on the temporarily inactive list. June 3, 2017 Trenton Thunder activated LF Jake Cave from the 7-day disabled list. May 28, 2017 Trenton Thunder placed LF Jake Cave on the 7-day disabled list retroactive to May 27, 2017. Concussion. April 29, 2017 LF Jake Cave assigned to Trenton Thunder from Scranton/Wilkes-Barre RailRiders. April 29, 2017 LF Jake Cave roster status changed by Scranton/Wilkes-Barre RailRiders. April 6, 2017 Scranton/Wilkes-Barre RailRiders placed LF Jake Cave on the 7-day disabled list. May 11, 2016 LF Jake Cave assigned to Scranton/Wilkes-Barre RailRiders from Trenton Thunder. April 6, 2016 CF Jake Cave assigned to Trenton Thunder. April 5, 2016 CF Jake Cave returned to New York Yankees from Cincinnati Reds. April 3, 2016 Cincinnati Reds designated Jake Cave for assignment. December 10, 2015 Cincinnati Reds claimed CF Jake Cave off waivers from New York Yankees. September 1, 2015 CF Jake Cave assigned to Scranton/Wilkes-Barre RailRiders from Trenton Thunder. February 5, 2015 New York Yankees invited non-roster CF Jake Cave to spring training. July 16, 2014 CF Jake Cave assigned to Trenton Thunder from Tampa Yankees. March 31, 2014 OF Jake Cave assigned to Tampa Yankees from Charleston RiverDogs. March 13, 2014 OF Jake Cave assigned to New York Yankees. April 23, 2013 OF Jake Cave assigned to Charleston RiverDogs from GCL Yankees1. April 14, 2013 OF Jake Cave assigned to Charleston RiverDogs. September 21, 2012 Jake Cave roster status changed by GCL Yankees. June 18, 2012 GCL Yankees placed LHP Jake Cave on the 60-day disabled list. September 29, 2011 GCL Yankees activated LHP Jake Cave from the 60-day disabled list. August 29, 2011 GCL Yankees placed LHP Jake Cave on the 60-day disabled list. August 22, 2011 LHP Jake Cave assigned to GCL Yankees. August 21, 2011 New York Yankees signed LHP Jake Cave.